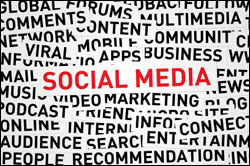 The following guest post is written by Matt Brown, an evangelist who utilizes social media for his non-profit ministry. I am becoming an increasing believer in the power and opportunity available through social media. I was not an early bird to jump on this social wagon. My brother Jon, a Youth Pastor in Chicago had to convince me and set up my first social media account years ago. As most people are, I was quickly hooked. We cannot expect that a one hour service each week will fill people’s spiritual tanks for the other 167 hours. Discipleship means being in people’s lives beyond the weekly service and special events. Social media provides this platform. It allows us encourage congregants in their faith while they are sitting on their couch in their pajama’s eating breakfast. Not only can we disciple and encourage those in our church, but we can also continue the theme of what is preached during the weekly service. Andy Stanley has done a great job in his book, “Seven Practices of Effective Ministry” , of stating the importance of not overloading our people with too many messages at once. Instead he encourages churches to state one point well and focus on application in the following week. We still face the problem of forgetting what was preached (even preachers forget what they preached). Social media provides a great platform to reinforce the key points and application from the past weekend throughout the week. Pastors should pass on their sermon notes to whoever is in charge of posting on the social media accounts. As key Scriptures and quotes are posted, the Holy Spirit uses those to remind people and reinforce the stickiness and lasting impact of the message. I schedule posts on Mondays on Hootsuite for our local church in Minneapolis. Experts have said that social media can cause jealousy as we see the exciting things others are doing. In the same vein, it can inspire you to consider new possibilities for your ministry. I loved watching recent posts for Steven Furtick’s Code Orange Revival in Charlotte, North Carolina. It revived something in my heart – a desire for extended, special services to hear from special guest preachers and set apart time to seek God’s work in our lives. Social media provides an incredibly targeted way to promote what God is doing in your church body. With Facebook ads, you can target exact age ranges within miles of your city, and with a minimal budget grow your church page by an average of 3 new fans times whatever dollar amount you spend. On Twitter, you can follow and engage with others in your surrounding communities at no cost, by looking through followers of twitter accounts in your local area. Your ministry reach becomes more than your weekend attendance or membership classes. You are now in people’s lives on a daily basis. Sure, some of your posts are about upcoming events, but hopefully you are taking time to engage, post valuable content and encourage people in their walk with Christ. You never know how God could use a simple post to change the trajectory of a life that could impact thousands of others. Matt Brown is an evangelist and founder of Think Eternity, an evangelistic nonprofit. He and his wife minister to over a hundred thousand people on several social media accounts on a near-daily basis. You can follow Matt and Think Eternity on Twitter. I am for hire for social media and YM consulting!